Eczema is a medical condition that causes the skin to become inflamed or irritated. The skin of the affected person becomes dry, itchy, reddened and cracked. 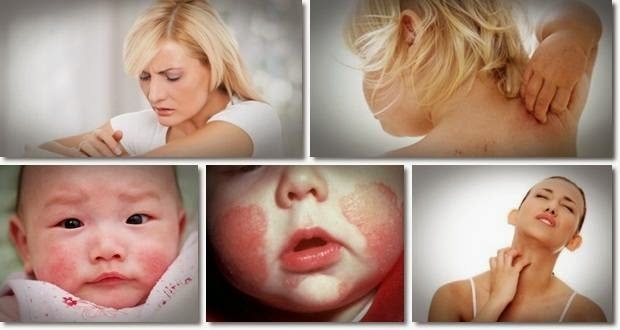 The most common type of eczema is the atopic dermatitis or atopic eczema. About 90 % of the eczema patients are under age 5. In children rashes begin on the face, hand, feet and scalp. In adults the rashes usually appear on the inside of the knees and elbows along with neck, hand and feet. This disease can be controlled with proper treatment. • Allergens like pet hair, pet dander, mold, pollen, foods like wheat, egg, dairy products and nuts. • Skin irritants such as perfumes, chemicals, alcohol based skin products, harsh soaps, synthetic or woolen clothes. The treatment of eczema should be based on the severity of symptoms. Minor to moderate symptoms can be treated using various home remedies or topical creams. There are a few natural remedies that you can try to get rid of skin irritation and other eczema problems. The gel like sap that you will get from the Aloe Vera plant if you cut the leaf of the plant has been used to treat burns, wounds and other skin conditions for ages. It has soothing and healing properties that will help you to get rid of eczema problems on your skin. Applying Aloe Vera gel on your skin will help in reducing itchiness as well as works as a moisturizing lotion for your dry and flaky skin. • It is always better to use fresh Aloe Vera juice that is extracted from the leaf of the plant. • All you need to do is to cut the leaf into half and extract all the colorless gel like substance in the leaf. • Apply this gel on the affected area and let it react with the skin for a few minutes. • Regular application of the Aloe Vera gel on your skin will provide a soothing effect and will also reduce itching of the skin. You will need to source out high quality organic cold pressed virgin coconut oil if you want the oil to really do wonders on your skin and to reduce the itchiness that you experience. This oil is more effective than the costly over the counter creams and lotions that you can buy for treating eczema. The main reason why you use cold pressed coconut oil here is because all nutrients, minerals and enzymes of the oil will remain intact during the cold pressing process. • Take a generous amount of cold pressed coconut oil and apply it evenly on the eczema patches that you see on your body and also in the dry areas of your skin. • Leave it to work on your skin for about 10 to 15 minutes so that the oil sinks in. • The oil might be solid as it is cold pressed but will easily melt off once it gets in contact with your skin. • Repeat this process two to three times a day till you feel a reduction in skin irritation and itching. It is important for you to just think of taking warm baths as cold baths are not called for when you are suffering from skin irritation and eczema. A cold bath will make your skin dry up quickly. You also need to add in a few eczema soothing ingredients in your warm bath water to reduce the itchiness and pain that you are suffering due to eczema. • You can add a tablespoon of baking soda to the hot water that you would be using to bathe. This will help in reducing itchiness of the skin. 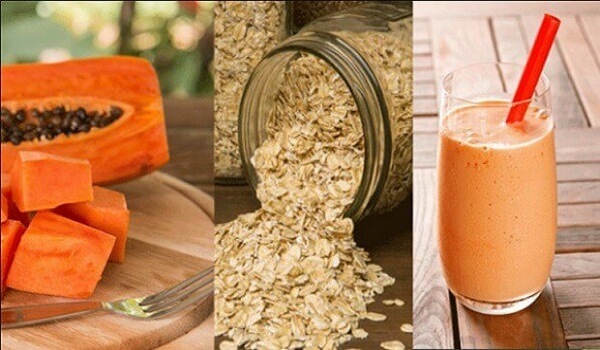 • Regular oatmeal or even finely powdered oatmeal can also be added to the warm water that you use for bathing. This will help to soothe your dry skin. Vitamin E oils are also found to be very effective in reducing eczema skin problems. It is important for you to use Vitamin E oil that is rich in natural tocopherols. You can also break open the Vitamin E gel capsules to get the oils filed inside the capsules. • Apply generous amount of Vitamin E oil on the eczema affected areas of your skin and leave it there for about 15 minutes. • The oil will react with the affected skin and will help in reducing the itchiness and the eczema symptoms that you are experiencing. • Apply this oil three times a day to see better results. Honey is a natural ingredient commonly used in India to treat a wide variety of skin problems. It is also found to be very effective in reducing irritations on the skin due to eczema. • It is important for you to buy pure organic honey if you want to get rid of eczema problems very soon. • Wash the affected areas of the skin thoroughly first and then pat it dry. • Apply honey directly onto the affected areas of the skin. Leave it there for 10 minutes and then wash it off with warm water. • Repeat for three to four times to see quick results and reduce skin itching. It would be ideal for you to take detox baths or to soak your body in water containing various salts to help in reducing irritations and skin dryness. It will also help to soothe the skin and also heal the skin. • Add two teaspoons of Epsom salt or magnesium salts in a bucket of warm water. Add one tablespoon of sea salt and a few drops of coconut or olive oil. Mix them well in the water. • Take a good refreshing bath in this water every day to reduce skin irritations and also to heal your skin. Pure virgin olive oil has anti inflammatory properties and will help in reducing the redness of your skin caused due to eczema. • Take a generous amount of virgin olive oil and apply it over the affected skin areas. Leave it to react with the skin for three to four minutes. • Gently rub the skin so that the oil gets deeper into the skin. • Now take a hot washcloth and place it over the affected areas and hold it there till the cloth cools down. • You can remove the excess oil on your skin with lukewarm water and a cotton cloth. • Repeat this process once every day for a week to see an effective reduction in itching and skin irritation. Cucumber is a very good natural ingredient that helps in soothing the skin and to make the skin glow. The cucumber juice has cooling effects and will help in reducing skin irritations due to eczema. Make sure that you use only organic cucumber for treating eczema. • Cut the cucumber into thin round slices and place the fleshy area of the cucumber on the affected areas of the skin. • Allow it to soak on the skin for one to two hours. Repeat this process daily to provide a soothing effect to your skin. • You can also extract the cucumber juice and apply it to the affected areas with a clean cotton cloth or gauze. Another popular natural remedy that you can think for treating eczema is chamomile. It will help in reducing skin inflammation as well as skin irritation and itchiness. • Add a few drops of pure chamomile oil extracts in the warm bath water every day to reduce skin irritation and itchiness. • You can also massage the chamomile oil directly on the affected areas of the skin every day to reduce itchiness. • You can also brew dried chamomile flowers in boiling water for about 10 minutes to prepare chamomile tea. • Now, soak a clean cotton cloth in this warm chamomile tea and apply it on the affected area for 10 to 15 minutes. Doing this regularly for three to four times a week will reduce skin irritations to a great extent. Apple cider vinegar is an ingredient that is loaded with antibacterial and antifungal properties. It will help in soothing the skin and also help in reducing skin irritations. • Mix one part of apple cider vinegar with one part of water and apply it to the affected areas of your skin. • Leave this mixture on your skin for 30 minutes and pat it dry. Repeat this for two to three times a day for a week to see visible results. The neem or the Indian Lilac leaves are found to be very effective in reducing skin irritations, inflammation as well as skin redness. It is the best natural home remedy to treat eczema. Turmeric has anti inflammatory and antioxidant properties that will help in soothing the skin and reducing irritations. • Crush the neem leaves and extract juice out of the leaves. Now mix this juice with one tablespoon of organic turmeric powder. • Add a teaspoon of olive or coconut oil to this mixture. • Apply this mixture on the affected areas of the skin and leave it to react on the skin for 30 to 45 minutes. • Wash it off with warm water and pat dry the area. Repeat twice a day for a week or ten days to reduce skin itching and irritation completely. Fish oil supplements contain omega 3 fatty acids that are very effective in treating eczema. It will help in healing inflammation of the skin as well as reduce skin irritation. • Make sure that you take one or two fish oil supplements every day after lunch and dinner to reduce eczema problems. • You can also include salmon, tuna, mackerel, sardines, anchovies, etc; in your diet to see quick results. Do you find it really annoying and discomforting to see redness and dry and flaky skin on your body? Are you looking for certain natural remedies to treat eczema? Well, then you can try out a few of the above mentioned natural home remedies to get rid of all your skin problems.